Indian Agricultural Machinery and Farm Equipment market is one of the most prominent in the world. Global majors have made inroads here (and Indian companies have established themselves overseas). The major drivers of a double digit growth rate in this sector are availability of credit, focus on productivity and mass migration of entire communities from rural to urban areas leading to an urgent need for mechanization in farming. BDB has identified a plethora of opportunities for global companies. 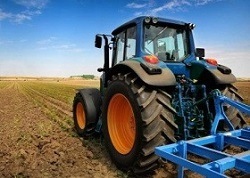 BDB has successfully undertaken consulting assignments in the field of tractors, drip irrigation, sprinklers, pump sets, sprayers, threshers, tillers and combined harvesters. The agriculture industry has been widely exposed to international trends and has shown considerable adaptability to change and mechanization. BDB’s familiarity with agriculture inputs is admirable. In India crop losses due to pest attack are among the highest in the world, while pesticide usage is among the lowest which stands at 381g per hectare as against world average of 500g. Whether it is transgenic seeds, speciality fertilizers or new generation pesticides; BDB’s domain expertise has enabled clients to grow rapidly in this diversified and dynamic Indian market. There is a very sizeable opportunity emerging in mechanized farming, cooperative farming and in smart usage of modern consumables. The farmers’ expectations are changing, aspirations of dealers and retailers in the farming sector are changing, the channel of distribution is becoming crucial and there is a clear differentiation of market experience in different pockets of India. The farmers are getting an opportunity to use and experience new products. 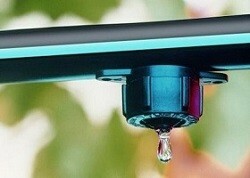 BDB offers proficient solutions in the Micro Irrigation sector. Our services include a wide array of studies on Pre and Post Harvesting Equipment, Micro Irrigation Implements, Drip and Sprinkler Systems and Nutrient Dispensers. 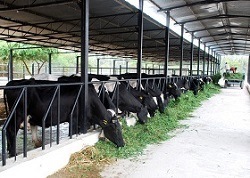 Dairy industry has been a mainstay of the co-operative sector in India. 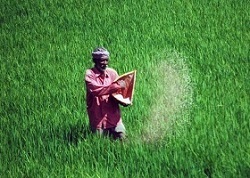 It contributes very significantly to India’s agriculture GDP. Major animal feed providers have leveraged BDB’s experience to identify opportunities as well as new inputs for cattle feed. For each assignment, the methodology varies because these are all customized research analysis. For instance, to study the demand dynamics and trend, a cross section of existing and potential customers will be analysed in rural markets. Considering the seasonal aspects and the geographical conduciveness of different crops, the study needs to be conducted in different pockets. Along with the farmers, inputs from channel analysis and the influencers (in decision making) are also a part of this study. BDB India is one of the leading agricultural market research company. BDB has identified a plethora of opportunities for global companies. BDB has successfully undertaken strategy consulting assignments in the field of tractors, drip irrigation, sprinklers, pump sets, sprayers, threshers, tillers and combined harvesters. The agriculture industry has been widely exposed to international trends and has shown considerable adaptability to change and mechanization. At conclusion, the output of such market research studies comprehensively results in an incisive, authentic and reliable Growth Strategy Recommendation Document.